Clean, efficient, and saves you money. 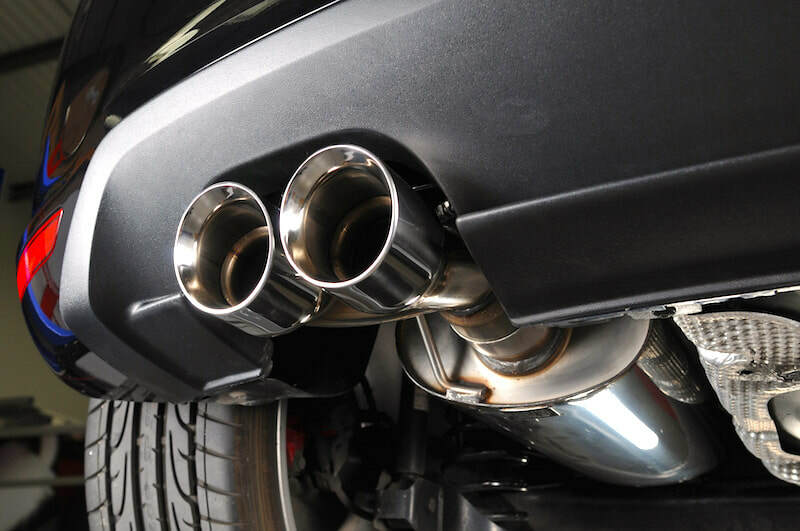 Your car’s exhaust system is responsible for keeping the dangerous fumes out of your car. In addition, it ensures that your engine is running the way it should and facilitates optimal fuel mileage. Felix Auto and Tire can repair your exhaust system so that it works efficiently, keeping you and your loved ones safe while, at the same time, improving your fuel efficiency and saving you money. A properly functioning exhaust system is good for the environment, too. It will reduce the toxic pollutants released into the air and keep the atmosphere cleaner now and in the future. If every driver gave due attention to their car’s exhaust system emissions, we could drastically reduce the amount of pollutants in the environment, even in large cities. The most common symptoms of a malfunctioning exhaust system include vibrations, loss of power, rattling, or rumbling. These things can also indicate several other problems, so you should always have strange noises or behaviors checked out immediately. The problem could be a leak in the exhaust system, or your catalytic converter could be failing. These problems are easy to repair as long as you bring your car in when you notice that something is wrong. The longer you let an exhaust system issue go on, the more unfavorable conditions it can cause for you, your vehicle, and the environment. You could end up paying a lot more in repair costs for something that would have been easy and inexpensive to fix weeks earlier. Fuel efficiency is a bigger reason than ever to get your exhaust system checked out. With gas prices fluctuating constantly, you need to know that a tank full will take you as far as possible. When your exhaust system is working properly and is completely leak free, your vehicle won’t have to work as hard to get you where you’re going. Felix Auto and Tire specializes in exhaust system repair as well as many other types of auto services that will improve your driving experience. Call today to set up an appointment for a complete inspection, including your vehicle’s exhaust system, so that we can help you make the most out of your driving experience.